This is an Archive of the TV Schedule from September, 2015. 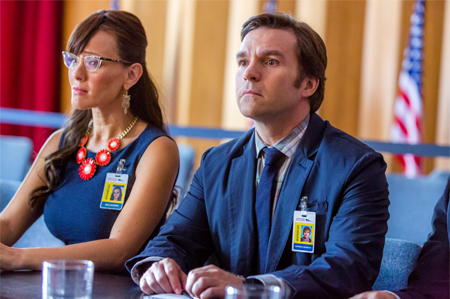 Visit the current Family TV Schedule for updated listings. Exciting news has been released for THE BRIDGE - especially for those of you who do not have the Hallmark Movies & Mysteries Channel. 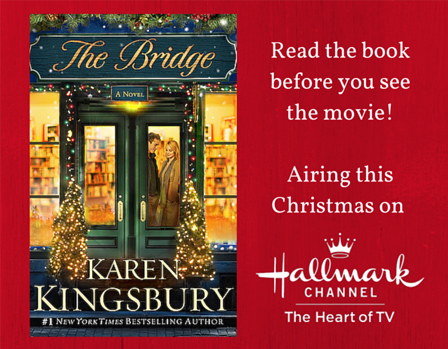 Author Karen Kingsbury shared via her newsletter that her book THE BRIDGE will be a movie on the Hallmark Channel this Christmas! Karen shared, "On the movie front, I had a wonderful time in Victoria, BC., watching the filming of my book The Bridge, which will be a Hallmark movie this Christmas. More information about exact dates and times coming soon!" through Kindle, Hardcover, Paperback, and Mass Market Paperback! 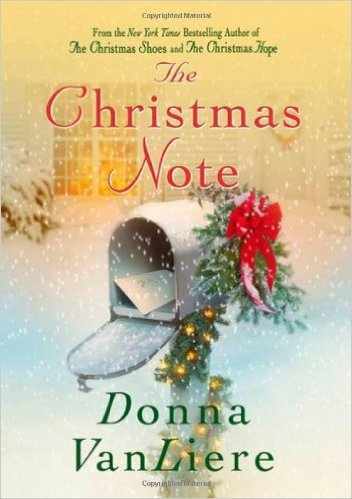 Based On The Book By #1 New York Times Bestselling Author Karen Kingsbury, Production Underway on Part Two, Set to Debut Holiday 2016. Kingsbury's The Bridge is the sweeping tale of Molly Callens (Findlay) and Ryan Kelly (Nash), two young students who share a profound friendship their first semester in college, a time that becomes the defining moment of their lives. At their favorite bookstore and coffee shop, The Bridge, they spend countless hours studying and inspiring the other to dream their 10-year goal. They bond with the owners of The Bridge, Charlie (McGinley) and Donna Barton (Ford), a couple who designed the bookstore as a place where people can connect and be part of an extended family. Can Molly and Ryan's unspoken love and future dreams survive the expectations of others as to what their lives should ultimately be? "Karen Kingsbury's story of second chances has touched millions of people, illustrating the power of love, forgiveness and grace," said Michelle Vicary, Executive Vice President, Programming and Publicity, Crown Media Family Networks. "The characters of 'The Bridge' are confronted with the same hard choices many people face daily, and they overcome the obstacles with empathy and love, an inspiring message this holiday season." Karen Kingsbury is a #1 New York Times and USA Today bestselling author, earning her the distinction of America's favorite inspirational novelist. With nearly 25 million copies of her award-winning books in print, Kingsbury's stories have resonated with readers worldwide. Her last dozen titles have hit #1 on national lists, including her recent Redemption series featuring Kingsbury's most unforgettable characters. Her novel The Bridge released in 2012 and debuted on the New York Times Bestsellers list. It has sold over 300,000 copies since the time of its release and is published by Howard Books, a division of Simon & Schuster. 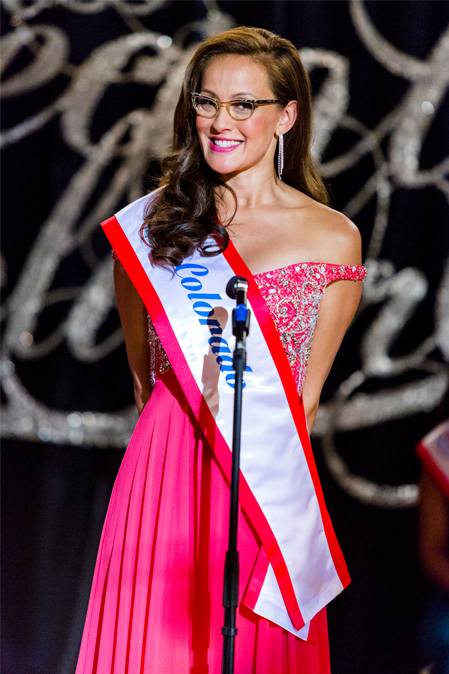 Kingsbury is also a public speaker, reaching more than 100,000 women annually through various national events. 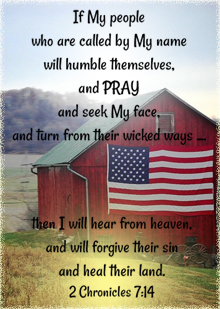 Kingsbury lives in Nashville with her husband, Don, and has five sons, three of whom were adopted from Haiti, and an only daughter, Kelsey, an actress. She is represented by Rick Christian, President of Alive Literary Agency in Colorado Springs. 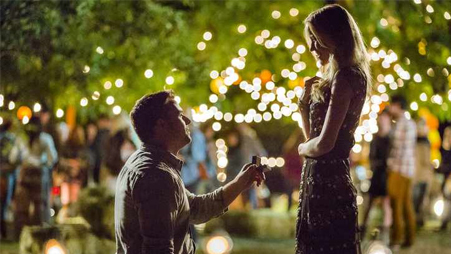 The screenplay for Karen Kingsbury's The Bridge is written by Jamie Pachino ("Franklin & Bash") and directed by Mike Rohl ("When Calls the Heart," "Smallville"). Emmy(R)-winning Executive Producers, reuniting their partnership after the success of "Door To Door" and "Gifted Hands: The Ben Carson Story," Everywhere Studios' Dan Angel ("Christmas In Canaan," "Goosebumps," "The Haunting Hour") and David Rosemont (2013's "Bonnie and Clyde," "The Gabby Douglas Story") have partnered with Kim Arnott, President of Vancouver-based Two 4 the Money Media and Fernando Szew, CEO of MarVista Entertainment, for the two-part movie. Both installments will also premiere on Showcase in Canada. 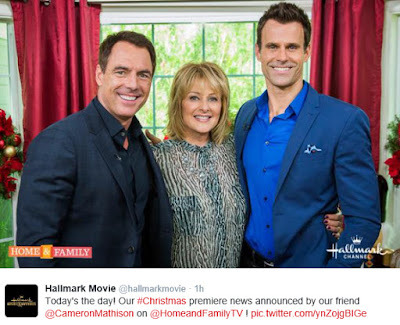 ABOUT HALLMARK CHANNEL: Hallmark Channel is Crown Media Family Networks' flagship 24-hour cable television network, distributed nationwide in high definition (HD) and standard definition (SD) to 90 million homes. The country's leading destination for quality family entertainment, Hallmark Channel delivers on the 100-year legacy of the Hallmark brand. 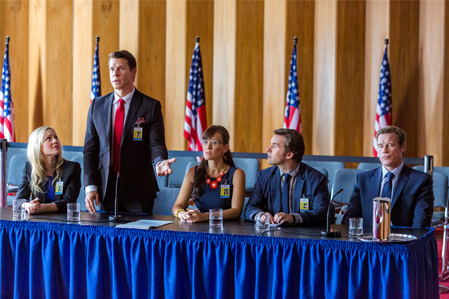 In addition to its signature original movies, the network features an ambitious lineup of other original content, including scripted primetime series, such as Cedar Cove, Good Witch, and When Calls the Heart; annual specials like Kitten Bowl and Hero Dog Awards and; a daily 2-hour lifestyle show, Home & Family. Additionally, in November 2014, Hallmark Channel became the exclusive home to world premiere presentations of the acclaimed Hallmark Hall of Fame franchise. 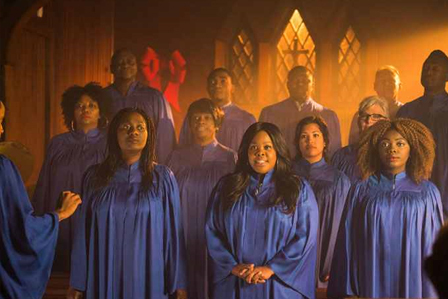 Dedicated to helping viewers celebrate life's special moments, Hallmark Channel also offers such annual holiday programming events as Countdown to Christmas and Countdown to Valentine's Day. Rounding out the network's diverse slate are television's most beloved sitcoms and series, including The Golden Girls, The Middle, Little House on the Prairie, and Frasier. Complementing Hallmark Channel's light-hearted and comedic fare, sibling network Hallmark Movies & Mysteries presents a unique mix of content that is more dramatic in tone, including original movies and such acquired series Matlock, Murder She Wrote, and Hart to Hart. "#‎Hearties‬! Pleased to announce that When Calls the Heart has started production on season three! Plus, you'll get a special 2-hour sneak peek this December!" 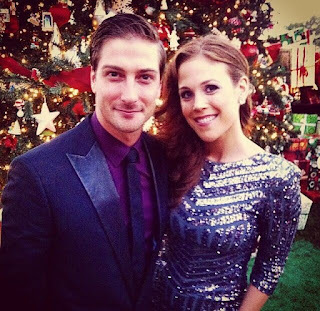 "#‎Hearties‬ here’s one of the announcements you’ve been waiting for… the Holiday S3 premiere movie debuts on your TV screens December 26, at 8 p.m./7 central (and re-airs on New Year’s weekend). What you’ve also been eager to know is what will happen to Jack and Elizabeth after the big S2 cliffhanger at that schoolhouse door. Well, let me just say that our New Year’s theme of “new beginnings” is going to make you very happy." This is a wonderful gift Hallmark is giving us the day after Christmas! Something to look forward to after all of our tangible gifts are opened from underneath the tree and all the Countdown to Christmas movies have been seen... it will be so nice to have something special to see on December 26th! Looking forward to seeing how Elizabeth handles Charles proposal... and Jack's reaction, too! Is "Signed, Sealed, Delivered" being shipped to You? is officially released today on DVD! 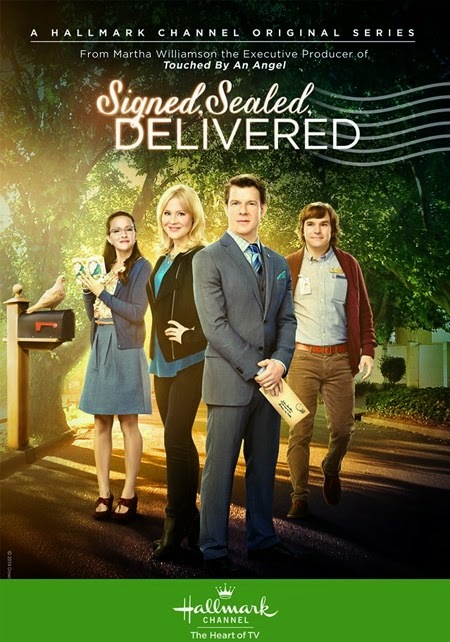 In this movie, brought to us originally from the Hallmark Channel, you'll see Oliver and Shane meet for the very first time, and although resistant at first, Shane plays an integral role in finding the owner of a mysterious letter that reunites two lives, while bringing together the POstable team of Oliver, Shane, Norman, and Rita. 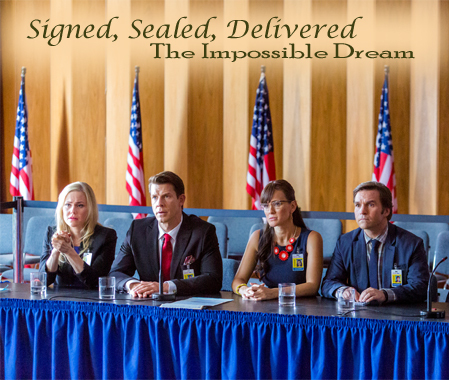 Signed, Sealed, Delivered is not only a movie, but a treasure you will cherish in your collection for years to come! Order your copy today - and have Signed, Sealed, Delivered shipped direct to you! Jackie Turner is a straight-A college student, who was abused, abandoned and starved as a child. Although she has resolutely turned her life around, the holidays are still very painful for her. Facing another lonely holiday break on campus, Jackie takes an ad on Craigslist for My ONE CHRISTMAS Wish - a family for Christmas - and even offers to pay $8 an hour. To her surprise, responses flood in. Among the numerous heartfelt invitations and letters of support, she also hears from other young people struggling with the same overwhelming emptiness that comes with spending the holidays without loved ones. 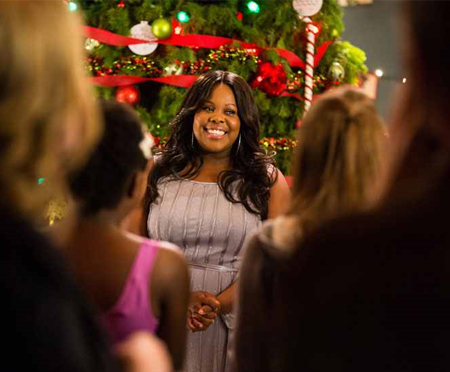 Moved and inspired, Jackie decides to throw a big Christmas party - with the last-minute help of her adviser, friends and support group - to find families for all those troubled folks who emailed her, and finds one for herself as well. LET IT SNOW with Candace Cameron Bure & Jesse Hutch is COMING to DVD!!! So far (as I type this today) the official DVD cover has not been released, so it may or may not be the exact original movie poster with Candace Cameron Bure & Jesse Hutch. However, having always liked the above snowy image, I do hope they plan to use it! *A very special thank you to Trisha for sharing this news with me via Twitter! For more details on the movie, Let it Snow, Click Here. 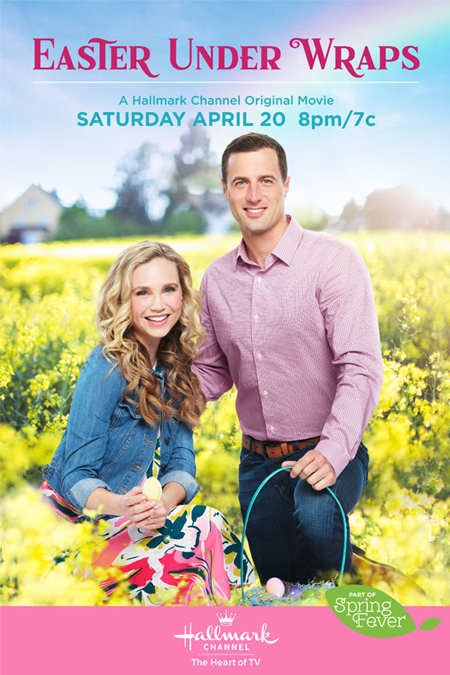 Love is in the Air... this Weekend on Hallmark! 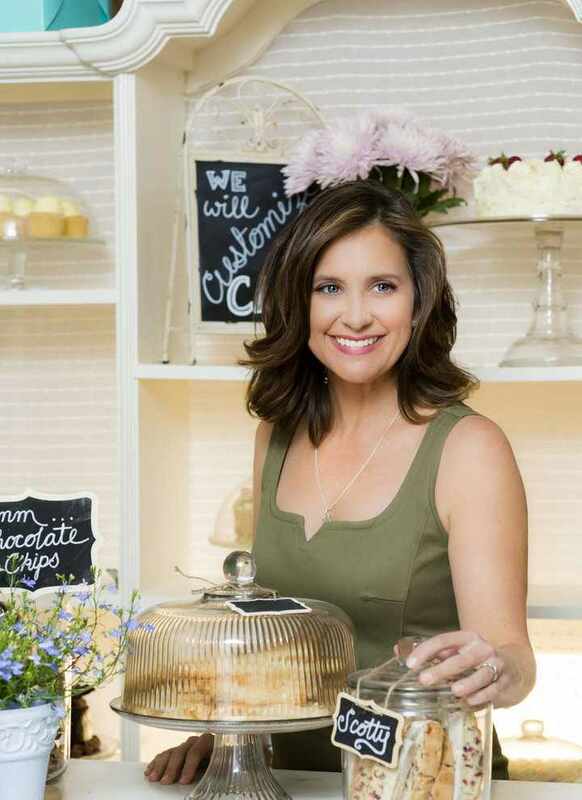 "Getting to Know You – Part Two"
via Hallmark: Olivia is upset after learning Paul is leaving Cedar Cove, especially as he won't reveal his reason. She and Jack continue to work things out be she longs for him to open up more. Justine is hurt when she learns Luke wants to reenlist in the Navy, leaving their future in doubt. Warren's power struggle with his father, Buck, continues but his scheme to get the elder Saget to leave town. 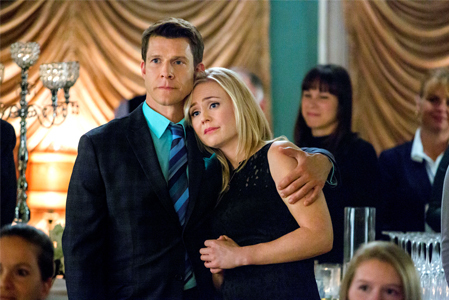 Grace and Cliff's wedding day brings together their family and friends for a celebration of their love, while Paul confesses to Olivia the shocking truth about his decision to leave Cedar Cove. The Finale airs September 26, 2015, Saturday Night at 8PM/7c. on the Hallmark Channel. 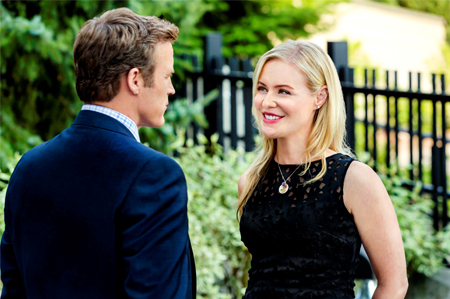 via Hallmark: A woman coping with the loss of her husband and the task of raising two children on her own meets a handsome rich man but doesn't feel right about pursuing anything. That's when she... click here to read more! STUDIO CITY, CA -- September 24, 2015 -- Hallmark Channel announces the start of production on "Chesapeake Shores," a series of Hallmark Channel original movies debuting on the network in 2016. The film is based on the novels of the same name by New York Times bestselling author Sherryl Woods. Jesse Metcalfe ("Dallas," "Desperate Housewives") stars alongside Meghan Ory ("Once Upon A Time"), Golden Globe(R) nominated actor Treat Williams ("Everwood," "Hair"), Academy Award(R) nominee Diane Ladd ("Wild At Heart") and Barbara Niven ("Debbie Macomber's Cedar Cove") in this epic, multi-generational family drama. "It is a true honor to bring to life Sherry Woods' captivating novel of family and forgiveness," said Michelle Vicary, Executive Vice President, Programming and Publicity, Crown Media Family Networks. "This amazing, all-star cast will expertly portray Woods' emotional, poignant and romantically woven story. We know our audience will be as taken and swept away by 'Chesapeake Shores' as we are." Ory portrays Abby O'Brien - a high-powered career woman, divorcee and mother to two young daughters. After years away from her family, she takes a trip from New York City to her hometown of Chesapeake Shores. The visit brings her face to face with her past, including her high school sweetheart Trace (Metcalfe), her undemonstrative father Mick (Williams), her daring sister Jess, and her beloved grandmother Nell. This trip also makes Abby notice the toll her career has taken on her ability to be a hands-on mother to her daughters. As she spends more time in her charming hometown, Abby begins to consider a permanent move to the town she once called home -- Chesapeake Shores. Metcalfe portrays Trace Riley, a handsome musician who was Abby's first love. After high school, Abby abruptly left Trace and Chesapeake Shores without warning, an action he has never forgiven her for. Trace eventually follows his dreams to become a musician, only to return to Chesapeake Shores years later and find that Abby, too, is back in their hometown. The two remember what they once had, sparking deep and unresolved emotions. 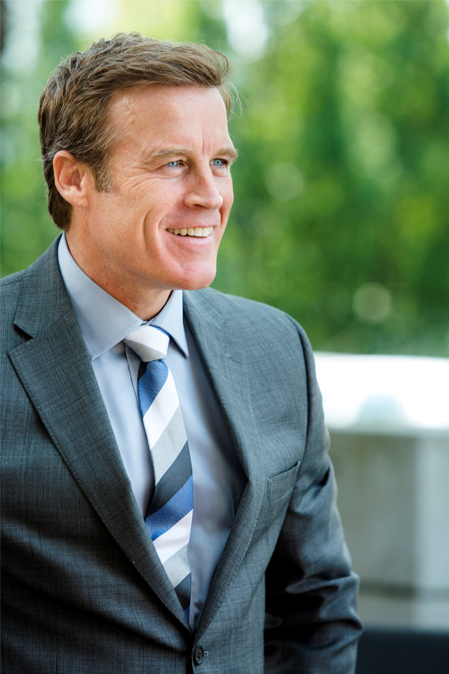 Williams portrays Mick O'Brien, the commanding patriarch of the O'Brien clan. Mick's wife walked out on him years ago, leaving him a single father working hard to provide for his family. Unfortunately his work took precedent, which made him emotionally unavailable to his children. When his daughter Abby returns home, it marks a new beginning for Mick and Abby as they work to reconnect and repair their strained relationship. Ladd portrays Nell O'Brien, the beloved matriarch of the O'Brien clan and Mick's mother. She is a warm, maternal and wise woman -- with a lovely Irish lilt - who took over rearing of the O'Brien brood when her son's wife, Megan, abandons the family. Through the decades, she is the glue that keeps the fractious, fractured family together. Niven portrays Megan, Mick O'Brien's estranged wife. Dan Paulson is the executive producer. Martin Wood is the director and executive producer. Vicki Sotheran and Greg Malcolm are the producers. Nancey Silvers is the writer and executive producer, based on the books by Sherryl Woods, who also serves as an executive producer. My thoughts... This is wonderful casting news! I'm delighted to see Hallmark bringing Treat Williams back in this series. Williams co-starred with Patricia Heaton in the Hallmark Hall of Fame movie "Front of the Class". He is such a great actor (liked him in Everwood) and I can't wait to see him in "Chesapeake Shores", alongside Jesse Metcalfe, who was fantastic in the Hallmark romantic comedy, "A Country Wedding". It's also a delight to see actress Barbara Niven in this - she's such an effervescent, cheerful character in Cedar Cove, and Diane Ladd, who is a lovely, veteran actress. 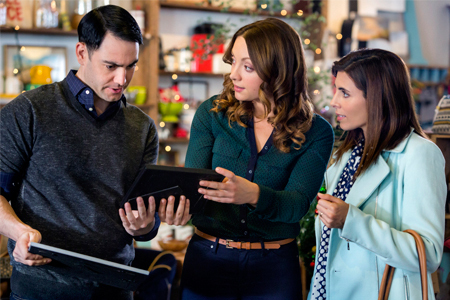 Two more actresses you may recognize from previous Hallmark movies are also starring in this series - Meghan Ory (The Memory Book) and Laci J. Mailey ("Signed, Sealed, Delivered Premiere Movie"). 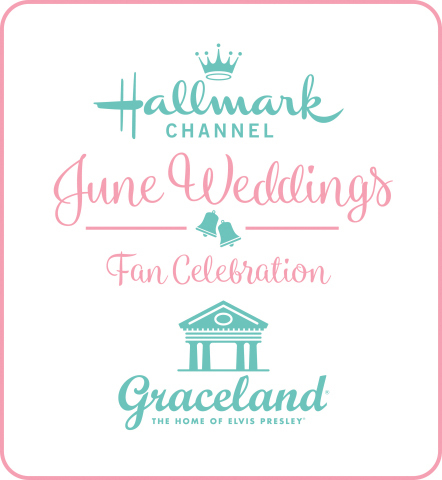 Thank you Hallmark for continuing to bring fascinating movies and series to our TVs! 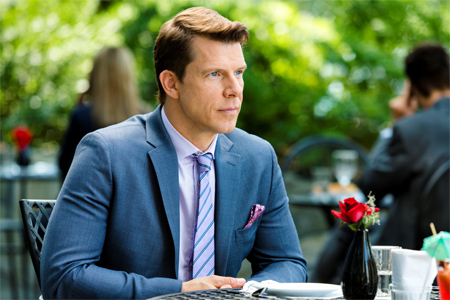 Click here to see my main page on Chesapeake Shores. *UPDATE 5/12/16: It's official: the Hallmark Channel sends out Press Release confirming 'Chesapeake Shores' will premiere on Sunday August 14, 2016! 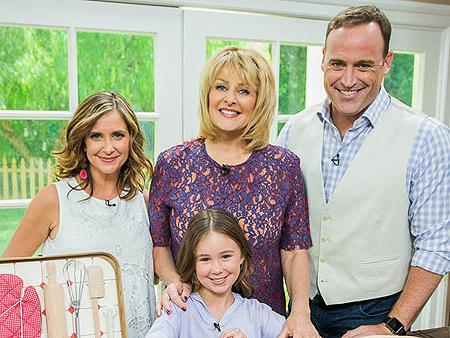 See Kellie Martin & Alison Sweeney on Hallmark's Home & Family! Both Actresses will be on the Hallmark Channel lifestyle show Home & Family to promote their upcoming Hallmark movies! Kellie Martin in "Hello, It's Me"
*UPDATE: (September 24th, 2015 @ 10:30AM) - Kellie Martin was, as expected, the first guest today on Home & Family and she announced that she and her husband Keith, along with their nine year old daughter Maggie, are welcoming a new baby girl into their family! Kellie is expecting! She is 5 months along now and looks wonderful! You can see below! 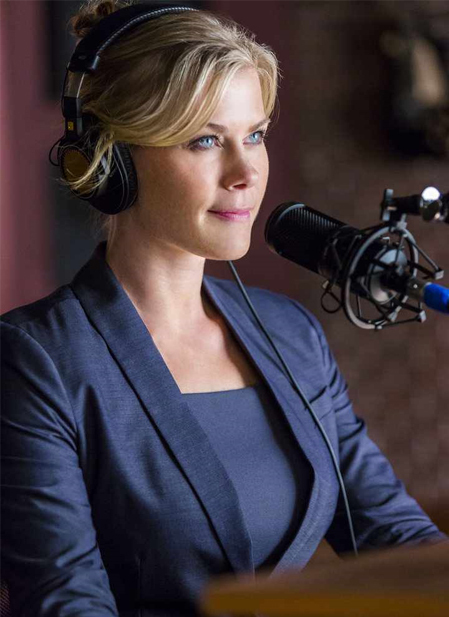 Could Alison also mention her upcoming Christmas movie, "Murder She Baked: A Plum Pudding Mystery"? Possibly. She may. But, I'm sure the focus will be mainly on "Love on the Air", this time... and perhaps she'll be back sometime within the Christmas season to promote it, as well! Alison Sweeney in "Love on the Air"
"Hello, It's Me" and "Love on the Air"
"FALL" in LOVE with Hallmark Channel's Fall Harvest! 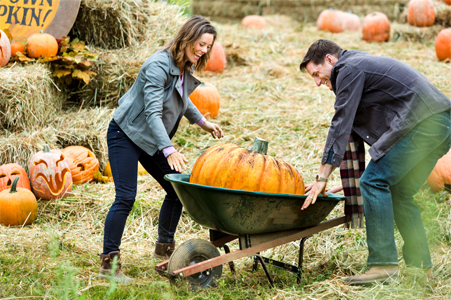 If you look forward to this special time of year... when family & friends gather to take a hay ride and step in the pumpkin patch... then be ready to "Fall" in Love with All the New Original TV Movie Premieres Coming this Autumn Season during "Hallmark Channel's Fall Harvest"! Hallmark Channel Original Movie - "Autumn Dreams"
special new movie addition to the Harvest Season! 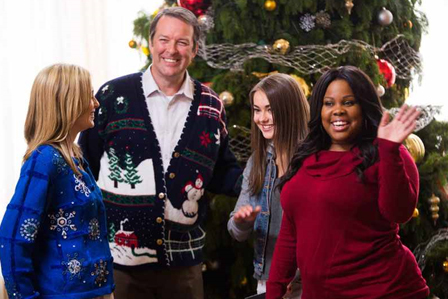 WHO WILL STAR in HALLMARK's Upcoming CHRISTMAS Movies!!! 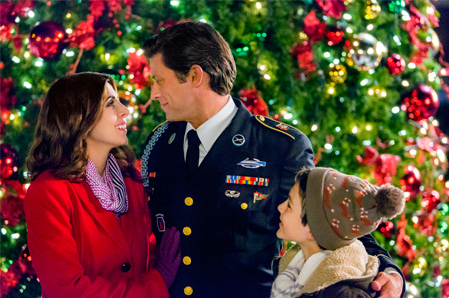 For all of you who look forward to every aspect of the Hallmark Christmas films, this post is for you! Recently, we have been learning a lot of 'cast news' for the upcoming 2015 Hallmark Christmas season... so I decided to put them all together in one place! 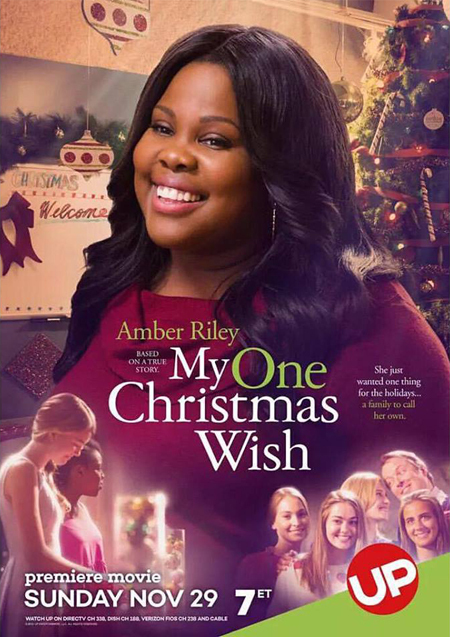 It's quite fun to see and share the names of actors and actresses in these forthcoming films, that we have liked in previous Hallmark movies... for example: Candace Cameron Bure, Bailee Madison, Cameron Mathison, Sarah Lancaster, Alicia Witt, Paul Campbell, and more! Enjoy all the Christmas news below! 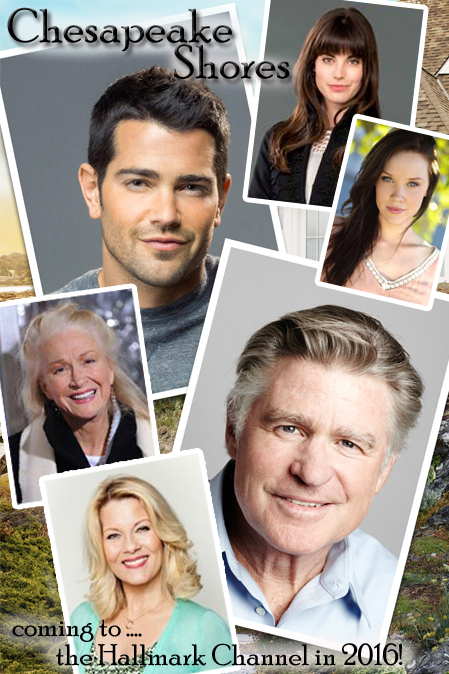 *UPDATE: Chesapeake Shores is Coming to the Hallmark Channel in 2016 as a series of Movies! 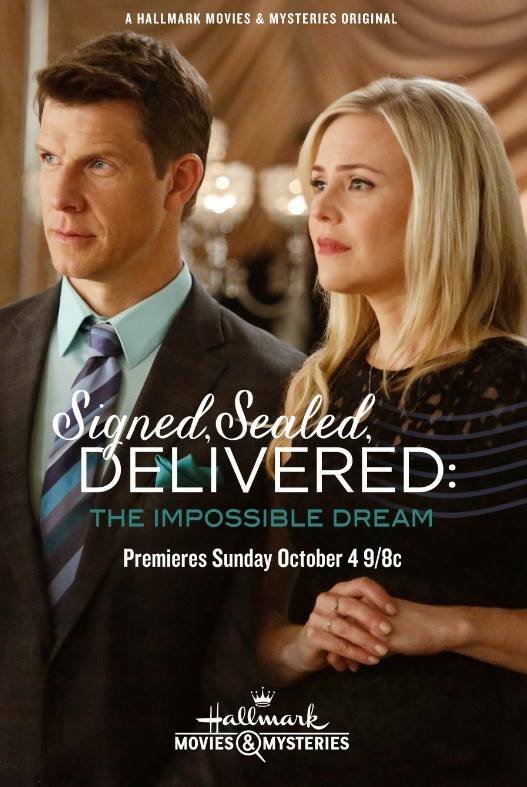 Hallmark Channel Leads Every Saturday Night with New Original Movie!!! You don't have to leave the comfort of your home to enjoy a New Movie every Saturday night... the Hallmark Channel is your Ticket! 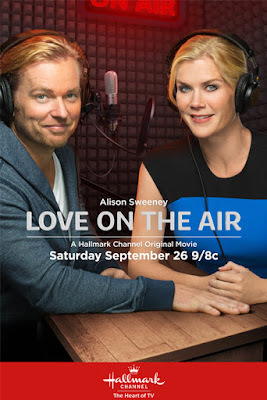 From now (September 19th, 2015) until Valentine's Weekend, 2016 - they will be giving viewers an All New Movie Premiere... making the Hallmark Channel "Your Saturday Night Original Movie Destination"! 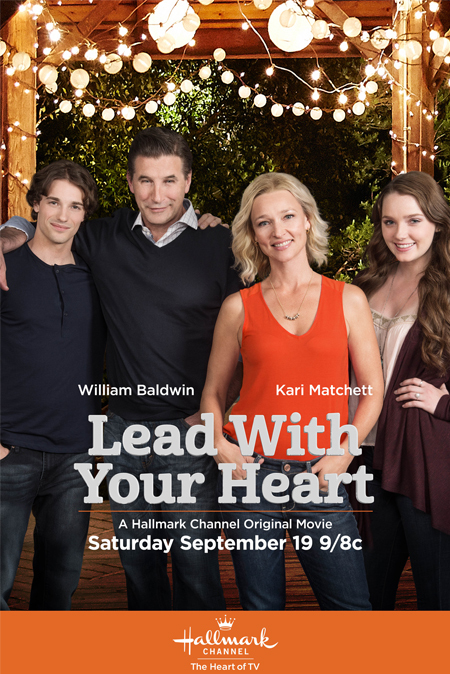 The lead-in to this incredible on-going release of Hallmark films, is "Lead With Your Heart" starring William Baldwin (of Hallmark's "Be My Valentine"). via Hallmark: With their youngest son leaving for college in the fall, happily married couple Ben (Baldwin) and Maura (Matchett) prepare for their upcoming chapter as empty nesters. 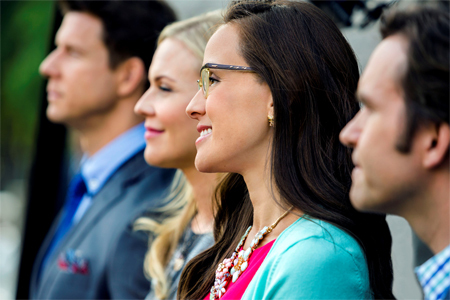 The couple faces an even larger change when Maura takes a temporary position – and big promotion – in Minneapolis. 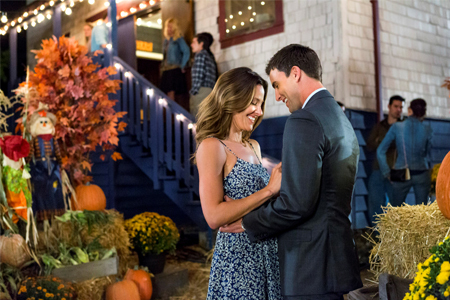 Ben and Maura miss one another while living apart, but the distance also shines a light on their differences like never before. When Maura’s temporary position becomes a full time offer, the couple must decide... click here to read more! Premieres Saturday September 19, 2015 at 9PM/8c. on the Hallmark Channel, "The Heart of TV!" 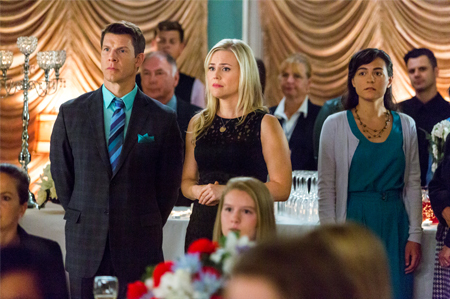 the Part 1 Season Finale of Cedar Cove. For encore airings of this movie and more, see the Family TV Schedule! 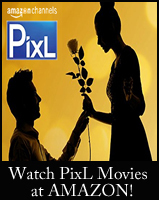 For the list of upcoming Saturday night movies, click here! 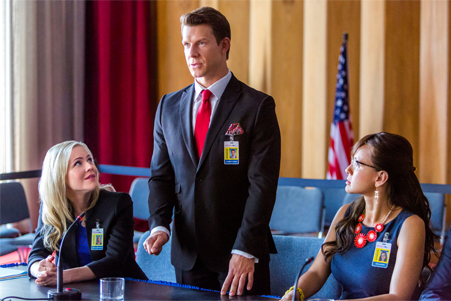 The POstables - a special group of Post Office Investigators - are all in attendance at an emergency Senate committee hearing, declaring they have information that could help rescue a soldier and reunite her with her family, while Rita competes for the National Miss Special Delivery title in Washington, D.C.
Hallmark Movies & Mysteries 2015 Christmas Movies Announcement! 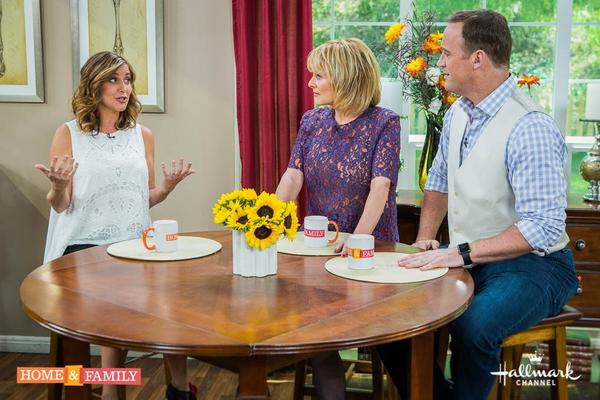 Even though this reveal is for the Hallmark Movies & Mysteries channel, you can only see this reveal on Home & Family at 10am/9c. on the Hallmark Channel! 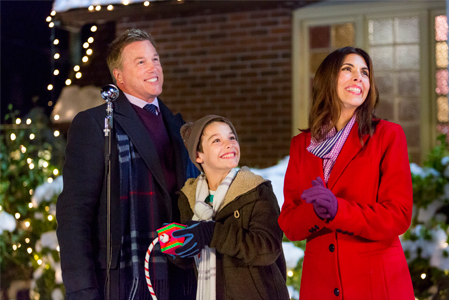 Home and Family starts in 30 minutes on the Hallmark Channel! Watch along with me as I will be blogging Live! Or, if you aren't able to watch this morning, I'll be giving updates- so you won't miss it! What movies will be included this year during the Hallmark Movies & Mysteries lineup of "Most Wonderful Movies of Christmas"? Stay tuned to find out!!! The Show just started and host Mark Steines first announced they will have a Surprise Guest later on to announce the Hallmark Movies & Mysteries Christmas Movies! Actress Tasha Smith ("Tyler Perry's For Better or Worse") gives behind-the-scenes stories from her show; actress Toks Olagundoye ("Castle"); the three finalists from "MasterChef" stop by the kitchen; how to turn an old bureau into a children's reading nook; DIY soft serve ice cream using dry ice; event planner Cheryl Cecchetto shares some party planning ideas; celeb hair stylist Giles Robinson shares simple hairstyles for young girls. They just went to commercial! I thought they would save it for later in the show, but Mark just said... the Christmas Announcement for Hallmark Movies & Mysteries Christmas Movies is NEXT!!! They announce 3 New Movies for HMM: Murder She Baked - A Plum Pudding Mystery, The Christmas Note, and The Magic Stocking! They didn't mention Karen Kingsbury's The Bridge ??? CAMERON MATHISON (excellent choice, by the way!) 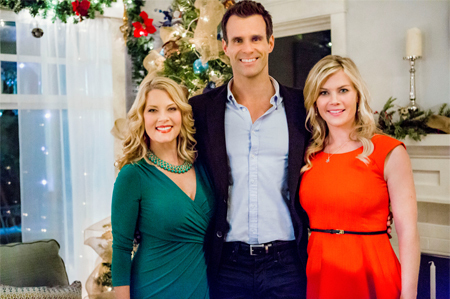 who stars in Murder She Baked - A Plum Pudding Mystery! They showed a clip from his movie, which includes Cameron with actress Alison Sweeney, and her cat! I'm excited to see Murder She Baked return... this one looks delicious!!! 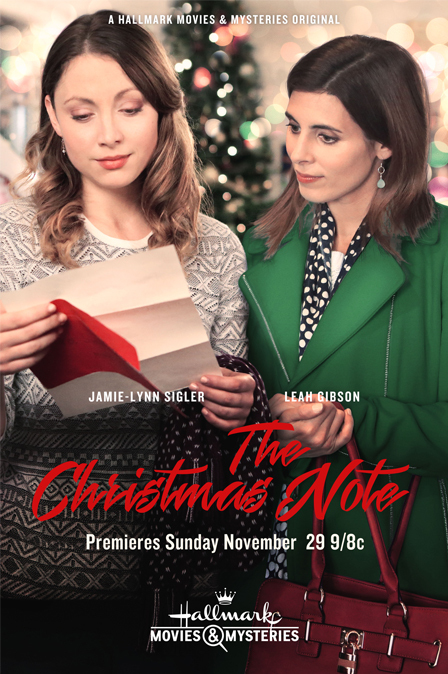 Cristina shares that actress Jamie Lynn Sigler (The Sopranos) will star in The Christmas Note. Mark announces the Yule Log will return to HMM on Thanksgiving and Christmas Day, featuring Happy the Dog and Happy the Cat! Cameron shares that all of our old favorites will be returning, too! No extra news or clips are shared for The Christmas Note or The Magic Stocking. Plus, once again.. they didn't mention Karen Kingsbury's The Bridge ??? That's it!!! 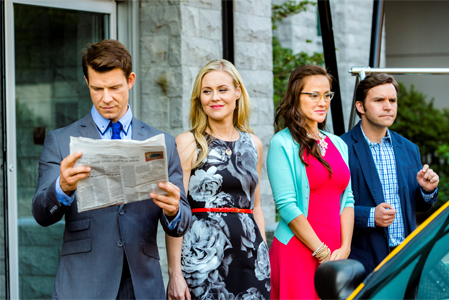 Segment finishes with them giving the premiere date for Murder She Baked - A Plum Pudding Mystery - November 22 at 9pm/8c. 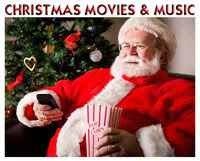 on Hallmark Movies & Mysteries... and of course, they remind viewers... the Christmas Movies begin 24/7 on October 31st! 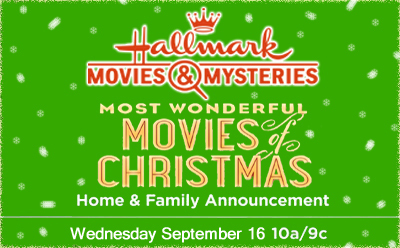 What do you think of the Hallmark Movies & Mysteries Christmas Movie Announcement??? 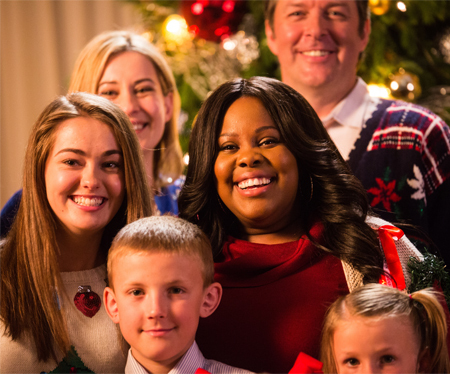 via Hallmark: Having just moved back to her hometown without her husband but with her young son, Gretchen Daniels finds her life in disarray as Christmas approaches. But she seems to find new purpose when she helps to deliver a message to her new neighbor that makes her an ally in the quest to find the neighbor’s long-missing sibling. The women become bonded not only by the search but by the understanding that being there for each other means they’re no longer alone in the world. And that becomes the greatest Christmas gift of their lives. Based on a bestselling novel by Donna VanLiere.